Many New Yorkers don’t have a car, which works great for city life. But, as the summer goes on and many are itching for a beach vacation, being car-less can make a weekend getaway a little more difficult. But, never fear—we’re here to tell you that it can be done. 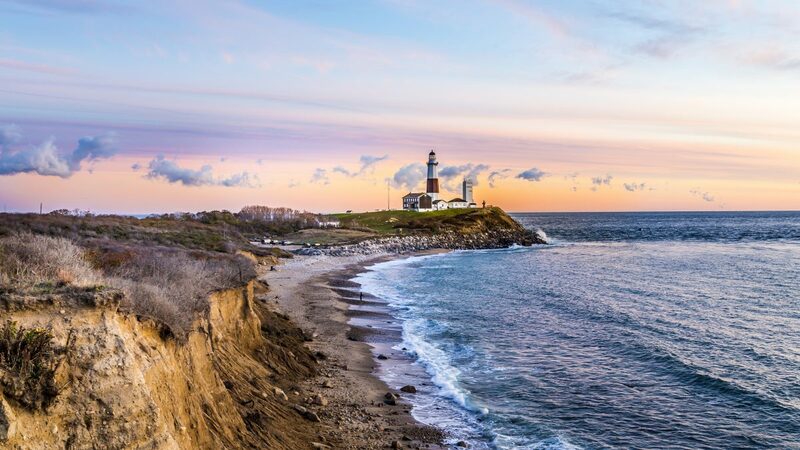 We’re giving you a guide to getting to and around one of New York’s most popular vacation sports—the Hamptons—without a car. Pack your bags, break out the sunscreen, and take a look at our tips below. 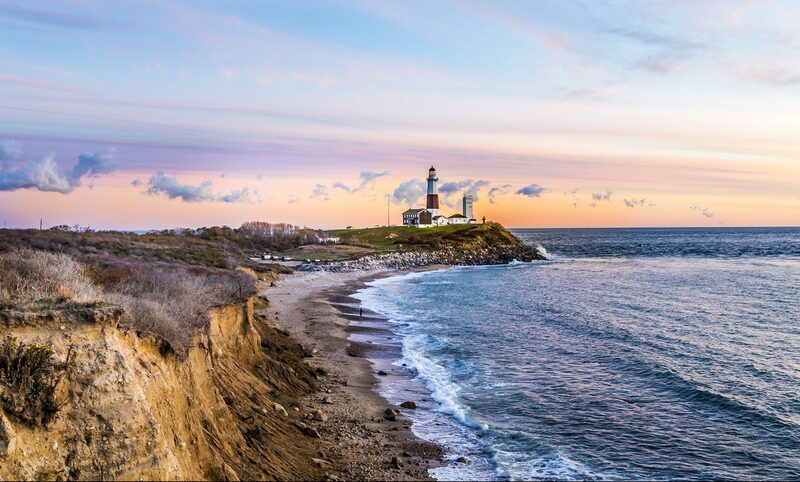 There are plenty of options for getting to the Hamptons that don’t involve the hassle of driving yourself. The Hampton Jitney: The Hampton Jitney is one popular way to get to there. This bus service runs from Manhattan and Brooklyn, stopping in popular spots like Southampton, Easthampton, Sag Harbor, Amagansett, and Montauk. A round-trip ticket runs at about $50. This option is pretty bare-bones in terms of comfort, but the bus does provide wi-fi and snacks. The Long Island Rail Road: The Long Island Rail Road is another good option for a quick beach getaway, especially if you want to avoid the weekend traffic. The LIRR has several stops in the Hamptons on the Montauk Branch for around $50, round-trip. Be prepared, though—this service gets super busy on the weekends and tickets sell out quickly. The Hampton Luxury Liner: If you like to ride in comfort, the Hampton Luxury Liner is the choice for you. This bus service has six pickup locations—five in Manhattan and one at LaGuardia Airport—and has several different drop-off points in the Hamptons. For a $90 round-trip ticket, you’ll have a comfortable seat and little extra leg room, plus snacks and TVs. You’ll want to avoid the famously expensive Hamptons taxis—check out some of these alternative options. The Hampton Hopper: If you’re going from town to town, check out the Hampton Hopper. 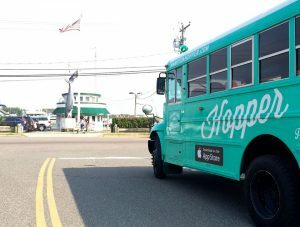 This app-based bus service runs from Sag Harbor to Montauk from 10 AM to 2 AM at $12 for a single ticket or $20 for a day pass. The Hopper also has a new Montauk service called the Montauk Loop that you can ride for free. Download the app and you’re set! The Free Ride: If you’re looking for a fun, eco-friendly ride, The Free Ride is the mode of transportation for you. This service is completely free because of its many sponsorships, using electric shuttles to get from place to place in Southampton, Easthampton, and Montauk. Download the app to see service hours and coverage areas, or simply wave a shuttle down. Rent a Bike: If you want a built-in workout while you’re getting around, renting a bike is another option. 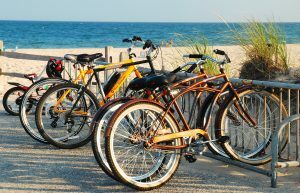 Many of the towns in the Hamptons are super bike-friendly, and there are some rental companies that offer delivery and pick-up service, like Amagansett Beach & Bicycle. Dan’s Bike Rental delivers bikes too, and will even meet you at some LIRR and Hampton Jitney stations.